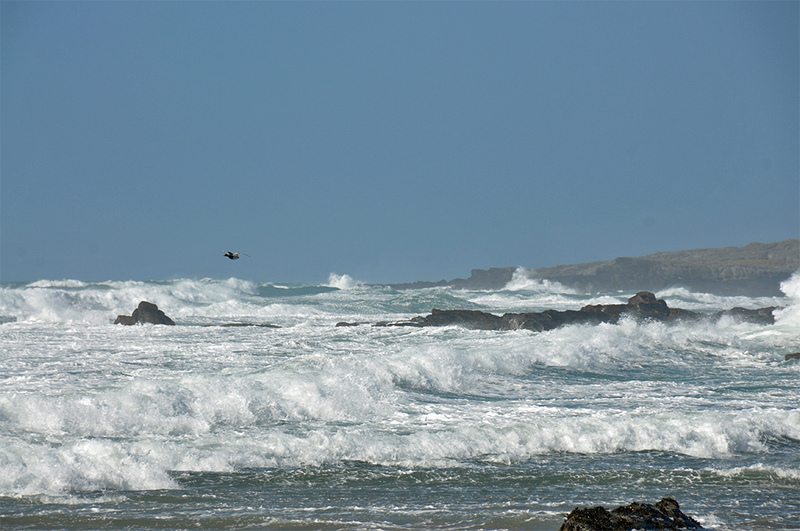 A view from a stormy April day in Saligo Bay on the west coast of Islay. The strong winds had built up some nice surf rolling into the bay and breaking over the rocks. A single birds flies past and out to sea. This entry was posted in Beaches, Landscape, New Post, Sunny Weather, Wildlife and tagged Islay, Saligo Bay by Armin Grewe. Bookmark the permalink.